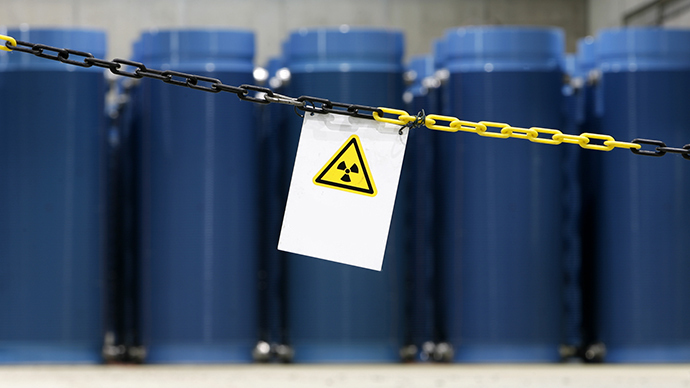 Authorities have issued emergency warnings to five Mexican states after it was reported that thieves had stolen potentially deadly radioactive material, the latest such heist to strike the Latin American country. The interior ministry issued an alert in the states of Tabasco, Campeche, Chiapas, Oaxaca and Veracruz that a container holding iridium-192 - a man-made radioactive element that can cause burns, acute radiation sickness and even death - was stolen on Monday from a truck in Cardenas, a town in southern Tabasco. "This source is very dangerous to people if it is removed from its container," the statement said. The theft of the radioactive material was reported by the company Garantia Radiografica e Ingenieria on Monday. The ministry added the material “could cause permanent injuries to the person who handles it or who has been in contact with it for a brief time (minutes or hours)." Luis Felipe Puente, head of Mexico's civil protection agency, emphasized that anybody who finds the source should establish a 30-meter perimeter around it and contact the authorities immediately. Mexico has been shaken by a string of incidences involving radioactive materials. In July 2014, a truck transporting Iridium-192 was stolen in a Mexico City suburb. Authorities later found it abandoned not far from the place it was taken from. In December 2013, thieves - apparently unaware of the contents of their heist - stole a vehicle containing medical equipment with highly radioactive cobalt-60, a material that could be used to produce a "dirty bomb," according to the IAEA, the UN’s nuclear watchdog. Law enforcement officers arrested and hospitalized five individuals involved in the incident after recovering the dangerous material. All of the suspects survived.